"Until Eternity" starts this sonic adventure in the land of varied rhythms with an approach as much hazy as ambient. Lines of synth intertwine their passive energies in a cosmic landscape tinted of metallic colors where the stars are ringing. They agglutinate in an immense ambient mosaic. A movement of rhythm is emerging. It makes sparkle its jumping keys in an elongated stroboscopic strand which sneaks among the slow caresses of a bass line. Darker layers draw a gloomy approach while we sense those muffled pulsations to try of awakening the ambiences. There is a good dose of intensity in this track which wakes up with samplings of manual percussions and electronic groans that we could confuse with a guitar which spits long riffs rather ethereal. Although slapped by these percussions, the structure of rhythm of "Until Eternity" splits up its approach between evanescent jolts and meditative atmospheres, just before embracing its last 3 minutes with this meshing of percussions and of nuanced pulsations which are whipped by metallic bangings while welcoming a soft melody hummed by a dreamy piano. 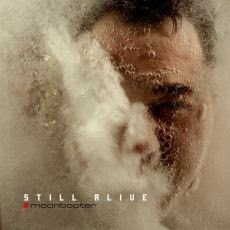 What strikes the most in the music of Moonbooter, in particular in “Still Alive” is this marigold of the detail. The sound is rich and decorated with a thousand of subtleties which increase the pleasure of the hearing. The passage between the furious rhythms and the morphic moods calm the anxiety provoked by these ardent beatings and restore also the taste to hear them. Like a good Chef, Bernd Scholl knows to measured his recipes. Even if sometimes we dive downright into Electronica, like in the pulsatory rhythm of "Dont Move" and its stroboscopic lines which encircle a brusque and lively tempo where roams a melody struck on a glass anvil. It's kind of very Orbital (In Sides), except that the lines of synth and the strands of sequences which swirl all around remind constantly the sources of Berlin School. Berlin School which is strongly present on the superb "Eternized in Crystal" and its magnetizing minimalist movement which invades the senses. The introduction offers two lines of sequences, one which winds of its crystal clear keys and the other one which chirps of its electric tones. Both are criss-crossing in a cosmic ballet which is tickled by a pleasant spectral voice. The line of crystal clear sequences gets loose and draws a slow hypnotic spiral whom we constantly feel a threat of blowing up with a crescendo which will explode at any time. The arrangements, the orchestrations will hook a tear on your soul. And, after a delicate oniric moment, the sequences flutter with strength, entailing the wonderful "Eternized in Crystal" into a strong up-tempo where the pulsations reverberate on sober technoïd percussions, and others which would make jealous a rattlesnake, while that synth layers float such as ethereal caresses and among which the tenderness and the arrangements accentuate the depth of a finale that we do not wish at all. This is a great music piece which found the road to my IPod; category best tracks of 2014! Moonbooter can also exploits purely ambient approaches. Like with the very ambiospherical introduction of "Number 43" where a cello and a piano are exchanging bits of melodies which stroll in sonic walls oozing of droplets. If the rhythm settles down little by little, it's quite the opposite with the very somber but serene "Transition" and its ectoplasmic choir. This mood can also be heard in the intro of "Impact of Mind". A track which is more or less static with its thick cloud of silvery sequences which skip ardently while jesting of a very metallic tone. These keys go up and come down in huge sound effects which place the track in an intense envelope of emotionalism while the tempo, tinted of nuances, tries to pierce a rhythmic approach which wraps itself, just like the strummed melody, in a dense blanket of foggy voices. The title-track is some crushed dynamite. If "Dont Move" showed some restraint, "Still Alive" is more the kind of track that will make burst a dance floor in a Rave party. My ears are still bleeding! Jumping from a style to another without too much difficulty, Bernd Scholl masters marvelously the fates of “Still Alive”. After the powerful and explosive title-track, which is filled of sound effects which will make tremble the walls outside the dance floors, "Automode" calms a little bit the ambiences with a beautiful down-tempo, although rather lively, tinted with a lot of TD tones, during their years on Miramar. The rhythm is charmingly bumpy and offers to our ears these percussions stolen in the tail of a rattler as well as a soft cosmic melody whistled by a dreamy synth. Let's say that it feels good after the relentless rhythm of "Still Alive". Except that "Born" does it again with a rhythm which is as much furious. "Tranquility" wears quite well its name by offering a nice peaceful structure where the sequences are astride, like riffs in a desert flooded with atmospheres of a Far West, beneath a sky which suffocates of heat and where rattlers are waiting for the meals. And finally "Adieu!"! What a beautiful, a great track! Never dance music will have been so attractive in my ears. The percussions are superb. Rattlers glitter in a bumpy rhythm soaked with a cosmic approach where the sequences eventually forge a melody, but not as so catchy as these violins which will mold a wonderful earworm; deep, deep in your eardrums. The progression is delicious and the arrangements are exhilarating. The beat pulses, the music moves and we feel here a soft melancholy floating. That track is also in my IPod! And I don't know if it's because my ears are still soaked with ashes of "Adieu! ", but I quite like, and a lot, this album from Moonbooter. An album where all styles get intertwine with a surprising symbiosis for all of those antipodes. Very good! Finally! Nearly two months after the release of the E.P. 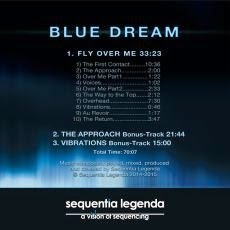 Fly Over Me, Sequentia Legenda presents his very first album entitled “Blue Dream”. A wait which was worth it, friends and fans of an EM decorated with these repetitive loops of rhythms, because Sequentia Legenda surfs on the beginnings of his wonderful E.P. which gave me back this taste to plunge myself back into the unconditional charms of this kind of minimalist New Berlin School, such as proposed by Klaus Schulze with his timeless Mirage. And if we have adored Fly Over Me we are going to devour its crumbs. As for me, I'm in a conflict of passion. I had simply fall for this beautiful E.P., and yet I have downright felt again under the so many charms of “Blue Dream”. A long metallic whoosh sweeps the horizons, freeing particles of prism which sparkle in a rush of whoosh and of whiish among which synth lines and synth waves criss-cross their sibylline perfumes. The first bass pulsations are wriggling in the background, bickering with metallic jingles which clink in this mesmerizing fusion of those multiple aromatic lines of "The Approach". Sequentia Legenda spreads gradually his minimalist structure. The rhythm skips and pounds with a light gap between its parallel lines, creating a fascinating troop of jumping keys which harmonize their cabrioles under the subtle gradations of synth lines, both in colors and tones. Very familiar with the essences of Fly Over Me, the structure of "The Approach" is however more lively and more fluid. This is the minimalist art in its most musical shape here. The electronic percussions, which always remain very present, redirect the swiftness and the shape of the rhythm a little after the 9th minute, producing the plans of a subtle crescendo. Their strikes and their rollings put in the background this rhythm embroidered around jerks of sequences, but also accentuate these pads of voices which, unified with other pads to the iridescent brilliances and other pads wrapped of cosmic mist, spread a delicious perfume of hypnosis. This is as much beautiful as Fly Over Me, even if quite similar. With a clear propensity for the approaches of those movements of crystal clear and minimalist sequences from Klaus Schulze in Mirage, it's just obvious that Sequentia Legenda would eventually by encroach with more accuracy in the paths of the great master. We remember these delicate arpeggios which rang at Crystal Lake's opening? We remember this second draft of Mirage in Big in Japan? The introduction of "Vibrations" plunges us right in the heart of these two universes. We could downright speak about plagiarism if the track didn't sneak between both variations of "Fly Over Me" and "The Approach". The execution is the same, only the ambiences differ. Here the synth pads always caress so warmly this delicate electronic staccato which amplifies its measure with as much subtlety as delicacy, whilst electronic chirpings of the beautiful Schulze's analog years come to peck at our ears and to awake soft memories of a time that will always stay in the firmament of the unconditional charms of EM. The proof? This wonderful obsession which surrounds the Sequentia Legenda phenomenon who, with an approach so candid, manages to put between our ears a thing for which we would never have hoped. Three monuments of EM with variations on the same theme, “Blue Dream” is to the 2010's what Mirage was in the 80's. If several people are going to talk about plagiarism, me I see an audacious extension of the work from Schulze here, in the same way that Redshift, Node, Arc and so many other artists have doing it for the music of Tangerine Dream. It's obvious that these crystal clear sequences which sparkle, skip and crisscross in order to unwind an ambitious minimalist pattern is an object of passion for all those who worship this musical genre. But beyond this similarity with the work of Klaus Schulze, Sequentia Legenda raises himself as in a very good architect of his structures by decorating them with thousand subtleties which invade ears with a merciless taste to start again after each listening. It's intrusive and subjugating. And, there is no harm done to indulge ourselves. So have fun, because this “Blue Dream” will obsess you relentlessly. This is more than good. And I'm pretty sure that it will be on the top of my list of the best albums of 2015. A hollow, a black and very reverberating breath besieges our ears. Kind of Tibetan bells resound in these dark winds while that another synth line, a little more translucent, makes the counterweight to this rather dark introduction of “Life Flows Water”. Other synth lines draw clouds of mists which steal very slowly around this dense opaque layer, while others are spreading strands of prism that one would guesses is escaping from a heavy and slow intergalactic vessel filled up with cosmic oracles. Immersive and very floating, "Opening to New Perspectives" multiplies its sibylline colors like we watched dumbfounded this water which waved while being a prisoner of its rectangle. I find hard to believe that “Life Flows Water” was recorded live, so much the wealth and the colors of sounds form a symbiosis with the slight crescendo of the ambient rhythms which invade our loudspeakers, in particular with the superb "Awakened Conciousness" and "A Step Achieved". Craig Padilla needs really no presentation. Those who know his works know also to which point he likes sculpturing ambient soundscapes decorated with delicate structures of ascending rhythms. For “Life Flows Water”, he teams up with the founder of the American label of ambiospherical music Spotted Peddary Howard Givens, that some define as being a creative guru. It results in a very dark ambient album with a multitude of reverberating lines which pile in order to draw up a kind of apocalyptic surrounding. With these 7 tracks which interlace in a long ambiospherical saga of 70 minutes, the duet Givens / Padilla aims at creating a Zen ambiance here, but those dark synth waves which get entangled indefatigably bring it at the edge of a Mephistophelian spiritual story. The ambiences are intense, reaching even some peaks at moments with splendid rhythmic crescendo which disconcert marvelously this very dark envelope of “Life Flows Water”. The long dark synth waves get entangle such as metaphysical lovers. They float and decorate the nebulous soundscapes of "Opening to New Perspectives", whistling amorphous chants with slow lines inflated of reverberations. On the cusp of this blackness, fine hiccupping arpeggios forge a series of drummings which pound and sparkle in a sonic sky to the colors of Morpheus. The ambient crescendo is pouring now into "Awakened Conciousness". These sequences cavort now. They flutter awkwardly within dark winds whereas other sequences are pounding an intrusive sonic framework which dresses itself of a dramatic fur. And the percussions fall. They thunder for a short while on this spiral of dislocated sequences which decorate its line of ambient rhythm with delicate kicks, just before that the heavy atmospheres of “Life Flows Water” shut it down and make silent its tumult. Long lassoes of reverberations float like a scent of threat over the singings of those birds which open "A Step Achieved". A delicate movement of hypnotic rhythm makes clink its sequences, plunging the listener into his so delicious souvenirs of Michael Stearns in M'Ocean. This is a wonderful two tracks set that the tandem Givens / Padilla is giving to us. Here, the crystal clear arpeggios are ringing on a charming ascending movement always painted by these long twist filled by echoes. Superb! "Reflection and Metamorphosis" brings us in the heart of the gaps of “Life Flows Water” with shrill singings of sirens. Still there it's heavy and dark. Except that a bright period turns up on the horizon with the arrival of "Tide of the Opposition Moon" where some fine arpeggios shine in another movement of sequences with keys which weave an occasional rhythmic turbulence. The title-track is the nirvana of “Life Flows Water” with an ambient rhythm which winds groundwaters suspended, like a lake between the cosmos and the earth. The slow impulses which push the ambient rhythm, drawn by a series of sequences which sound like the skeleton of a snake crawling on a bed of rock, create good moments of intensity which seduces the listening. 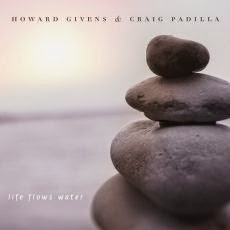 The most serene moment of the album, "Shavasana" brings us towards this Zen zone aimed by Howard Givens and Craig Padilla. Certainly, the hoarse breaths are always intrusive. But the more radiant synth lines hide a bit the repulsive approach that these long boas with ample and slow serpentines, ochred of sulfur, draw almost everywhere around the 68 minutes of “Life Flows Water” which loops the loop with this last track. And even if strongly tinted with this dark veil, this album remains a rather poetic work. A work mainly ambient which is knotted around beautiful gradations in its rhythms among which the ringings and the drumming are the secret of its charms. Oh boy! “Sounds of Atoms” is a real bomb for those who like the kind of driven sequence based EM. A music which abounds in furious rhythms and in catchy melodies. Sayer is an American musician/synthesist who is in the field of EM since almost 25 years as producer and, at his hours, composer. His vast experience brought him close to all the musical currents and gave him so the chance to seize all of its nuances. In so doing, his music is surprisingly well structured for a new name in the sphere. A newcomer? Not really. “Sounds of Atoms” is his 3rd album after a silence of 12 years. Either after the release of Past-Present-Phuture in 2001. In all, Sayer has produced about ten albums which brush all the spheres of modern EM. Released in January 2014, “Sounds of Atoms” is a real gold mine for those who like an energetic, heavy, dark and energizing EM which won't sacrifice at no moment a melodious approach embroidered in the corridors of the cosmos. It's heavy. It's powerful! There is a clever mixture of all Tangerine Dream's all periods, in particular at the level of sequences and atmospheres, and of Jean Michel Jarre, for the rhythms, the percussions, the cosmic atmospheres, the melodies and the synth solos on this album which amazes at each track, at each musical bend. The title-track starts with a suite of oscillating sequences which parade in swirling. Percussions click and resound, redefining so the ambient rhythm of "Sounds of Atoms" towards a soft and morphic down-tempo. Pleasant and lively, the rhythm cavorts slightly below a shower of organic chirpings, of cosmic tones as well as of rippling synth layers which caress it of a harmonious tenderness. The structure "Sounds of Atoms" follows a soft evolutionary bend introduced by a succession of jumping keys which hang onto the shadows of the others. The rhythm so becomes heavier, more hopping with strikes of more accentuated percussions. Then sequences get loose, some with tones of Vocoder's organic effects, in order to forge an adjacent movement which draws some rangy stroboscopic lassoes. The oppositions of the phases are well balanced and represent one of the charms of “Sounds of Atoms”. Another one being the melodies. As on "Subatomic Particles" which attacks our ears with heavy, dark and lively sequences. A track weaved on multiple jumbles of sequences and good muffled percussions, "Subatomic Particles" pitches at us a wonderful cosmic melody which is going to feed the Gigabytes of my I Phone. Two harmonious phases are present on this piece of music, as well as on many others, which bubbles of its hyperactive sequences. One is coming from the synth which is simply superb, both in the solos and in the melody, and the other one is built on sequences which isolate a segment with arpeggios which are clinking like knocks on an anvil finely banged over a structure of rhythm very lively. This is very good! And the more we move forward and the more we collapse under the weight of the heavy and very lively rhythms of Sayer. "Kinetic Energies" is going to bite your eardrums with this meshing of sequences, percussions and pulsations which have made the walls tremble since that the title-track got loose from my loudspeakers. The rhythm here is wild. Battered with ferocity, it also changes of skin while the synth, its solos and its melody, is just as much effective than in "Subatomic Particles". Sayer multiplies the lines of rhythms with movements of sequences as well heavy than so agile. The rhythms change constantly of suit, raising beautiful cosmic soundscapes. We stay in the field of the heavy electronic rock, but in a more dancing shape, with "Cyclotron" and its multiple changes of rhythm which switch shapes without ever reaching the threshold of ambient music. The sequencing is rather impressive. There are some keys which flutter around, some which hiccup while others disguise in sneaky pulsations, weaving a structure of rhythm which bursts under the charms of a synth and of its very catchy solos. Certainly the rhythms can take a kind of ambient phase, like in here, but they remain lively and lapidary. "Oscillating Fields" moderates the ambiences with a ritornello of crystal clear sequences which dance lightly and oscillate with a fascinating delicacy. Yes there are percussions with tones of gas, cosmic effects, chirping of sequences and organic reverberations which always remain present in the sound decoration of “Sounds of Atoms”, giving to each track a depth which hypertrophies its initial conception. We fall a little in the synth-pop style with "Retrospection", which is very Jarre but not as much as the very surprising "Particle Beams" which is closer to Jarre's London Kid, with good synth solos flying over a rhythm which is jumping up as a thick cloud of kicks. The beat eventually softened its pace to move in a beautiful and very harmonious ethereal gallop a la TD. "Cosmic Rays" is heavy and nervous. 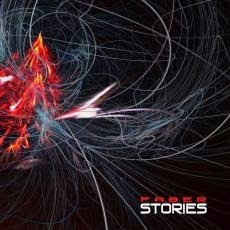 It's a strong track forged in this dynamism of sequences and percussions which tug the rhythms of “Sounds of Atoms”. "Angular Momentum" leads us towards another level of EM; a soft and ambient ballad which is evolving slightly with sequenced arpeggios of which the hesitating steps draw an ascent towards a cosmos decorated with bright filaments which are perfumed by vintage cosmic analog tones. It's very beautiful, almost oniric, and, evidently the structure increases appreciably its pace and preserves all of its innocent charm. After the rather danceable structure of "Particle Beams", "Atomic Age" ends this 3rd album of Sayer since his comeback in 2013 with a structure which gets closer to "Angular Momentum", but with more restlessness in these rotary half-impulses. Heavy and powerful with structures of rhythms in half tints and melodies that will hook a smile to your bank of souvenirs, “Sounds of Atoms” is a very beautiful discovery. I don't remember having heard a so voracious EM album in an envelope of 77 minutes which knows no respite and which does not get on nerves. The rhythms are powerful and don't diminish these very beautiful cosmic melodies which decorate a very interstellar sound decoration. Jean Michel Jarre, Faber and Tangerine Dream! 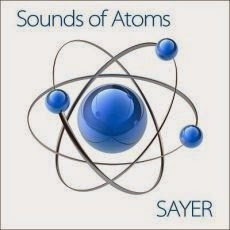 Points of references and of nuances which explain a little better why I was so much charmed by this album of Sayer. I would even add Synergy for the black rhythms of the Cords period. A whole cocktail which explodes deliciously in your listening room. Here is a cute discovery that I made recently and which goes to those who don't really like complicated EM. Faber is not nevertheless a newcomer in the sphere of the German EM. This project of the northern German musician/synthesist Ronald Schmidt is on feet since almost 15 years with a first album, released also on MellowJet Records, entitled Spacefish. His love story for EM starts at the beginning of 70's when he first heard a more classical kind of EM from Wendy Carlos and Tomita. By searching a little more on the Internet, I read that his main influences varied from Tangerine Dream to Klaus Schulze, while passing by Mike Oldfield and Wendy Carlos. “Stories” is already his 10th album. It includes 10 pieces of music with varied lengths, giving thus Faber a good chance to play within his structures and reshapes them in order to please to the most refractory ones regarding soft and melodious EM. This music turns around rhythms, melodies and nice depths of a more accessible genre, as Tangerine Dream but especially Kraftwerk for the very Teutonic synth-pop style and Robert Schroeder for the very lascivious groove style. What I get from it is this sound wealth. The depth of the arrangements. Ronald Schmidt leaves nothing at random by multiplying orchestrations and synth lines with some very harmonious colors and with a structural approach in the melodies which remind me vaguely the music of Vladimir Cosma. Here is a beautiful surprise and a beautiful musical rendezvous where each of the 10 tracks of “Stories” will leave you the soft sonic perfume of a pleasant earworm. And it's quite softly that this small musical collection of Faber begins. Glistening synth lines caress of their hot radiations some soft arpeggios whose shadows which get loose are sounding like these melodies of the Dream , period Underwater Sunlight. A bass line is crawling around this mini sound carousel, forging a minimalist upward movement which seeks for its support around the muffled pulsations. The sound envelope is very rich. We hear a synth to whistle a spectral air, while that sober percussions accelerate hardly the pace of "Summer Breeze" among which the musical envelope and the atmospheres bear admirably well its name. The rhythm is soft, a little as an ambient ballad. Arpeggios fall down like the notes of a harp that we caress with the back of our fingers whereas other notes get loose to forge a romantic melody with delicate ringings, like in a sort of ethereal xylophone. "Summer Breeze" goes then in a brief ambiosonic passage before taking up with its soft rhythm where breezes and winds unite their sweetnesses to whistle this spectral melody that we shall find in several places in “Stories”. "Summer Breeze" sets the tone to an album where every structure generates similarities without being closely alike. I think among others of the very beautiful "L'air Part I" and its cosmic atmospheres on a rhythm skipping delicately. The melody whistled in the synth is simply invading. I challenge you to be able to resist this spectral air which eats away our eardrums for a long time. A phenomenon that we observe on the 10 tracks of “Stories”. "Lonely Heart" belongs more or less in the same style, but with a beautiful Food For Fantasy vibe. The same goes for the slow dance tempo that is "Bon Voyage" which is well-showered by a synth with the perfumes of saxophone. Just enough and not enough to be annoyed. But a synth which, in any case, remains rather electronic by throwing good solos. "Happy in Berlin" is my first of many favorites on “Stories”. The structure of rhythm catches our attention right away with pulsations and their resonant shadows which welcome a superb solo with a melody as much bewitching, and even more, that in "Summer Breeze". It's very Teutonic. Near a good synth-pop with beautiful arrangements. In the limit near Kraftwerk, especially with the tunes sung on a Vocoder. The rhythm is lively. Sharp and jerky, but at the same time fluid and well fed by this multitude of pulsations which resound in some very robotic percussions, creating an oblong undulating and jerky shape. Like a big boa on acid which crawls along a wall of sharp stones. Far from being annoying, the tunes of the Vocoder are as much bewitching that the harmonies whistled by a very catchy synth. "Tangerine Lights" starts with big organic pulsations which resound in the echoes of percussions with metallic tones, kind of Reggae. Clouds of allegorical mist invade this intro, while a very New Age melody decorates its finery with it. The rhythm falls over towards a synth-pop fed by stroboscopic organic pulsations which swirl in symbiosis with a series of sequenced arpeggios. It's cute and rather commercial. The melody which gets out of it reminds me Vladimir Cosma's lightnesses Cars racing sounds open "Miami Race" which offers a furious rhythm with a good meshing of pulsations, sequences, lively arpeggios and percussions. Piano is divine and follows the speed of a blunt and jumping rhythm. This is pure up-beat wrapped of nuances which make contrasts with a breakneck pace, in particular these long and slow solos which cross the violence of it. And the rhythm and the piano....Very catchy! "New Elements" plunges us literally into the atmospheres of Kraftwerk and The Man-Machine. We are fast seduced by two structures of rhythms which cross in opposite swiftness. And this Vocoder...What good memories we are having here. We are going to crack also for this undulating rhythm of "Night Flight" while that "Fairy Tales" is livelier. More musical also with this synth filled by perfumes of a panpipes and these sequences which skip in their shadows with mixed tones. It took me time before I decided to speak, or write, about this “Stories”. I listened to it under all angles in order to have a more subjective idea; synth-pop or accessible, even almost easy listening EM, being not really my cup of tea. But I was set in my trap. Due to those listenings, my ears were flooded by a thick cloud of earworms. Musical itches which still obsess. And especially with a style that Kraftwerk had thrown to the trash can after The Man Machine album. And no matter the angles, I really end by liking this first experience with the music of Faber. Enough in any case to dive into Ways whom my good friend Nick describes me as being very good. The universe of Faber is very melodious. And even if the whole thing remains very accessible, nothing is made in the ease. The rhythms are as well rich as very diversified, overflowing even the frame of the synth-pop to caress the Groove and Chill-out styles. Synths exult the colors of the imagination while throwing here and there pretty good solos. The blend gives a kind of very progressive synth-pop with strong arrangements which are also obsessing as the melodies which they frame. This is some very nice and warm music we have here. Made well and well written. The kind that Robert Schroeder likes to create since a few years, but with a little more convincing approach. In brief, I recommend it to you without hesitations. Even if we are outside the lands of the Berlin School. 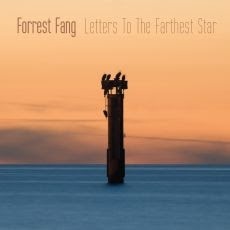 Although very far from the style of usual ambient music, the music of Forrest Fang wears a unique cachet with this fusion of ambient Folk to perfumes of East. As much comfortable with a range of oriental acoustic instruments (on "The Unreachable Lands" Turkish Lute, the Chinese violins and the Indonesian percussions dominate the atmospheres, the rhythms and harmonies) that with electronic instruments, the Sino- American musician and synthesist like to draw these breezes and these winds from synths in order to weave harmonious landscapes which give some more of colors, more reliefs in an ambient music delicately shaken by surrounding areas of ballad anchored in the American Folk song. The outcome is always rather attractive. Split into two parts, “Letters to the Farthest Star” remains a meditative and melancholic album. If the "The Unreachable Lands" proposes rhythms of World Music into paralyzing atmospheres which are punctuated with harmonious and lively interludes, the rest of the album plunges us into the somber universe of Forrest Fang where the dark moods swallow rhythms as much evanescent as the melodies which decorate them. In the end, it gives a poetic album where both poles of Forrest Fang get mix without ever really merging . It begins quietly. A wave of winds rises to sweep the horizons of iridescent colors where the singings of a brilliant blue get lost in muffled and somber reverberations. The quadrilogy of "The Unreachable Lands" unties its first part with the notes of a pensive guitar which gets out from the winds of "Unsail". Forrest Fang leads us from then on towards a slow rhythm. Towards the ballad of a Bayou kind of "Song of the Camel". We roll of the neck. It's delicately lively. The percussions shape a delicate movement of spiritual trance while the line of bass sculptures a kind of blues very tribal and while the flutes release festive harmonies coated by a perfume of East. This is very appealing and the ambient remix version is even better enticing. The somber winds return to decorate the atmospheres of "Water Village" of an opaque sibylline veil. The first two minutes are dark. They are the sober prelude to a structure of rhythm as much pleasant and lascivious as the one in "Song of the Camel", the bass line on it is lasciviously lively, and that a Chinese violin covers of an ambient shroud. This is pure ambient Folk a la Loggins&Messina. It's the reference point which comes to mind like that and which I find rather relevant. Moreover the music of Forrest Fang is a sublime mixture of American and oriental Folk that perfumes of EM embalm of a comforting meditative aura. "Hermitage" concludes the saga "The Unreachable Lands" with a pensive approach where the violin, one would say an harmonica, cries in the sobs of a piano. It's soft and very melancholic. It's also the small thread which leads us to the other hillside of “Letters to the Farthest Star”. "Burnt Offerings" exchanges its introduction, knotted in hollow winds, for a rhythm always so slow and folk. It's end to be an ambient ballad which gets lost in the winds of its intro and splits up its acoustic notes in the turbulence of the synthesized winds. "Veldt Hypnosis" brings us in territories a little more electronic of Forrest Fang. A thick cloud of synth waves with rippling lines and sibylline chants forge a strange ambient melody of which the spectral singing shakes ropes filled of bells. The rhythm which hatch comes from two lines of percussions. One is fluid with lively knocks which sculpture the electronic walking of a millipede with castanets instead of feet. And the other one is heavy and loud with thunders of drumming which forge a furious and noisy mood. Both lines reduce in a state of almost absence a delicate melody drawn from the multiple bells. A melody which pierces this thunderstorm of tom-toms, of which only the fluid and lively knocks knew how to resist the wear of the 8 minutes of "Veldt Hypnosis". The effect in a living-room is simply staggering. The atmospheres are heavy and always threatening, as in the very ambient "Fossils" and its notes of a six-strings which look for its harmonies in the winds howlers. A discreet line of sequenced drumming sculptures the ambient rhythm of "Seven Coronas" which ascents a very meditative landscapes with tears of violins which flow on the harmonies of the carillons. It's sad and the violin is rather poignant. "Lorenz" proposes a night of falling stars of which the wakes in the black firmament weave some harmonies mislaid in dark and dense winds as much black than hollow. We are in an ambient mood, dark and very wrapping such as the glove of a black night. And it's even truer with "Lines to Infinity" and its notes of guitar which scratch a melody which is always looks for its shape in a thick strata of synth in colors as dark as these long passages through caves without lights of the American deserts. We are entitled to 3 tracks in bonus if we buy the downloadable version of “Letters to the Farthest Star”. And I have to say that it's not just of filling. The ambient remix version of "Water Village" is very good. The feeling of being in the Californian deserts at the time of the cowboys is much more present here with a clearly more lascivious rhythm. We perceive even better the very discreet harmonies of the harmonica here and that gives to the track a beautiful approach of lugubrious, almost apocalyptic Western mood. I also prefer better this version of "Burnt Offerings" where everything is far better nuanced, in particular the play of the percussions which are heavier and more detailed. We dive literally into the works of Steve Roach's Californian deserts. Very good! On the other hand, I prefer the original version of "Song of the Camel". Here, in its demolition version, we have difficulty in finding its essence. I quite enjoyed “Letters to the Farthest Star”. I know it's different from the Berlin School and the sequence based style of EM, but it is still very appealing. Forrest Fang is resolutely less arrhythmic there that on Unbound, even that sometimes he shows a good dose of wild violence which sounds like a troop of horses which trample on nests of ants. There are a lot of good atmospheres and fascinating depths, both in the ambient phases and in the rhythm ones. And these short melodious interludes which go and come add some more of charms to an album which nevertheless asks for a good dose of curiosity to those who don't know Fang or are simply not interested in the genre. For the others, you are going to adore. But in any case; like it or not, knowing him or not, Forrest Fang's discovery should stay in your schedule of exploring the ambient form of EM. After all, he is this delicate link between the worlds of Steve Roach and Robert Rich.